Wright County Swap Meet. 13594 - 100th Street NW. Route 3, Highway 55. Two miles west of city. Hours: 8am to 2pm. Seasonal market open April through October. Outdoormarket with approx 150 dealers. Collectibles, used merchandise, country treasures, handcrafts, produce. Snack bar, restrooms, h/a. c/p Gladys Miller, 13594 - 100th St NW. South Haven, MN 55382. (320) 274-9005. Rainbow Bait Flea Market. Highway 78. Used merchandise, gifts, all sorts of classic flea market bric-a-brac, souvenirs, collectibles. (218) 864-5569. Searcy Flea Market. Highway 210. Six miles west of city. 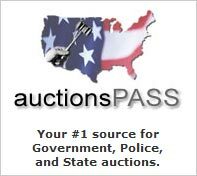 Used merchandise, country and farm collectibles. Crafts, produce. Food available. Pleasant country market. 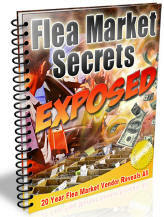 Auctions Unlimited Flea Market. Ample parking. Antiques, collector items, housewares, clothing, secondhand desirables, farm collectibles, jewelry. Snack bar, restrooms, h/a. Shady Hollow Flea Market. Highway 59, 5 miles south of town. Ample parking. Hours 7am to 5pm. Free adm & ample aprking. Antiques, collectibles, silver, glassware, toys, new and used merchandise, crafts. Approx 100 dealers. Space from $15. per day. Food available, restrooms. c/p Ardis Hanson,1760 E. Shore Dr. 56501. (218) 847-9488 or 847-5706.. Note: Seasonal market May through October. Flea Market. A typical weekend market with a little of everything from baseball to clocks, electronics to t-shirts. (507) 334-5159. Flea Market. Catholic Church on Highway 371. Approximately 50 dealers. New and used merchandise, antiques, collectibles, jewelry, crafts. Food available. c/p Chamber of Commerce, (218) 675-6135. Flea Market. Highway 371. Used merchandise, garage sale items, crafts, farmers market. Food available. Seasonal market, open during warm weather months. For schedule of dates: c/p Tillman Rude, (218) 947-3313. Eighty Five Mile Garage Sale. Runs on Highway 61 in Minnesota and Highway 35 around Lake Pepin in Wisconsin. Buy, sell, shop along the entire route. Great food, fun shopping, everything from locally made crafts to quality antiques. This is a real fun weekend trip. Pay attention to your driving and parking. c/p C of C, Box 150, 55041. (651) 345-4123.Fax: (651) 345-4195. Meeker County Swap Area. New & used merchandise, crafts, collectibles, produce. Snack bar.c/p Jerry Krambler, 501 Pleasant Ave. 55355. (612) 693-7698. Flea Market. Midway Shopping Center. Snelling and Highway 36. Used merchandise, garage sale items, crafts, collectibles, produce. Food available. Flea Market. Lyndale & Glenwood Street's. New and used merchandise, tools, garage sale items, crafts, house wares, produce. Food available. Blaine's Flea Market. 10980 Central Avenue NE. Hours 10am-8pm. Indoor market. Good selection of collectibles, glassware, silver, crafts, art. New and used merchandise, gifts, imports. Snack bar. Monthly rental only. (612) 757-9906. Orchard Fun Market. Orchard Road. 3 miles west of stoplight in Monticello. Turn left after power plant. Hours 8am-4pm. Free adm. Ample parking. Indoor/outdoor market with between 2-500 dealers, depending on season. Antiques, collectibles, crafts, used merchandise and some new merchandise. Market has entertainment and kids rides. Good food available onsite. Restrooms, h/a. Space from $10. c/p Orchard Fun Market, 127 St. NW. 55362. (612) 295-2121. Buds Flea Market. Highway's 10 and 75. Approximately 50 dealers. New and used merchandise, jewelry, house wares, clothing, sports items, gifts, decorator items. Indoor market. Snack bar, restrooms, h/a. Space from $23 for weekend. c/p Bud Granfor, Perley, 56574. (218) 861-6635. Wild Cat Swap Meet. Ample parking. Approximately 100 dealers. New merchandise, tools, electronics, sportswear, toys, housewares, sports merchandise.Also, used merchandise, garage sale items, crafts, produce, collectibles and sometimes antiques. Snack bar, restrooms. c/p Dave Mertens, Box 94. (218) 983-3325. Olmstead County Gold Rush Antique Show & Flea Market. Fairgrounds. Admission charge. 50 acre facility with 12-14 buildings in use for this combination show and market. Indoor/outdoor antiques only. Reservations necessary. Strong attendance with over 1,000 vendors selling high quality antiques. Plenty of good food at this events. Lots of parking and miles of walking. Ample restrooms. Space from $40. indoors and $30. outdoors. c/p Joyce Fuchs, Rt. 2, Box 2X. Pine Island, MN 55963. (507) 288-0320 OR 346-7530. Market held 2nd weekend of May and 3rd weekend of August. This is a don't miss event if you are looking for quality items. Flea Market. Armory. 1530 E. Maryland. Ample parking. Antiques, collectibles, jewelry, silver, linens, new and used merchandise. Food available, restrooms, h/a. Open 3 weekends per month. (612) 457-4999. Flea Market. Washington County Fairgrounds. Ample parking. Antiques, collectibles, jewelry, silver, vintage clothing, art, farm items, glassware. Food available. Restrooms, h/a. Seasonal market. Inside & outside space available. c/p Ron Johnstone, (612) 439-3183. Wabasha Indoor/Outdoor Flea Market. Highway 61 and Industrial Court. Hours 9am-5pm. New and used merchandise, furniture, lots of garage sale items and small newer collectibles. Space from $8. per table. Food available, restrooms. c/p Don Carlson, Box 230. 55981. (651) 565-4767. This includes one table and electricity. Spaces are clearly marked and inviting. Vendors may sell outdoors as well – unlimited space – same price, however, no electric outside. We are located on Highway 10 just 3 miles east of Wadena at mile marker #93. Over three buildings of “really good stuff!” Amish crafts, hand loomed rugs, artisan crafted jewelry, new and used garden tools and equipment, trees, shrubs, perennials, annuals, hanging baskets, new golf equipment, other used sporting goods and collectibles, hand crafted wood products, lots of antiques, crockery, ironware, jewelry, books, camping equipment, furniture, fixtures, girl stuff, guy stuff and kid stuff - a little bit of everything! Flea Market. Levee Plaza Mall. Ample parking. Used merchandise, lots of garage sale items, bric-a-brac, crafts, produce. Food, restrooms, h/a.